A Special Raffle will be available to purchase Tickets for a Chance to Win "CASH"
Please Join us for this Fun and Relaxing Event! To learn more about the Conference activities and speakers, please click on link below. Please join the GLSPS for some end of the season fun!! The Gales of November presented another great show. This year the show was mainly sponsored and run by Lake Superior Magazine and one of their main Editors and Writers, Konnie Le May. She did a great job in the short time she had to put it all together. She did have help from the Lake Superior Marine Museum Association (LSMMA) which is what this Fund Raiser is mostly about. 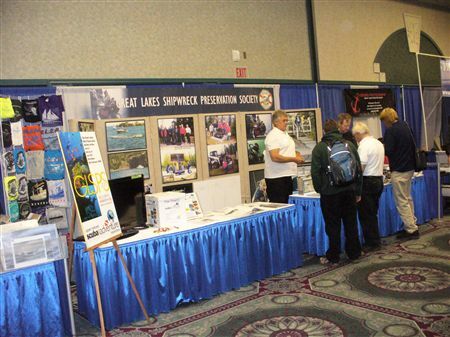 Click here to see a few snap shots of the Exhibitors area. All the speakers were great and Kudos to all that helped choose this year's twelve speakers. The GLSPS Board of Directors would also like to congratulate Fred Stone House for receiving the Maritime History Achievement Award from Konnie Le May at the Lake Superior Magazine. Fred is a very dynamic speaker and has given presentations at many of the past Gales of November Conferences. He has also given many presentations at the UMSAT Show in Minneapolis. 3. Tony Dierckins - Naturally Brewed, Naturally Better: 150 years of Making Beer with Lake Superiors Water. 4. Grant Merritt - Iron and Water. 7. Paul C La Marre III - More Than a Job, Living the Lakes. 9. Roger Pellet - A Whale of a Tail - Lake Superiors Most Distinctive Ships. 11. Christain Dalbec - Over and Under the Big Waves. 12. David and Heather Gerth - Preserving a Lost Way of Life: The Restoration of the Rock of Ages Lighthouse in Isle Royale. Those of us that represented the GLSPS at the Gales of November through our involvement as an exhibitor had a great time once again. We hope the show continues to grow to be able continue the get-together among the maritime history community and to make the necessary funds to help the LSMMA to achieve their goals. If you have any comments or concerns about the Gales or the GLSPS, please contact us with the email below. We hope to see more participation from the GLSPS Members in upcoming Gales of November Conferences. 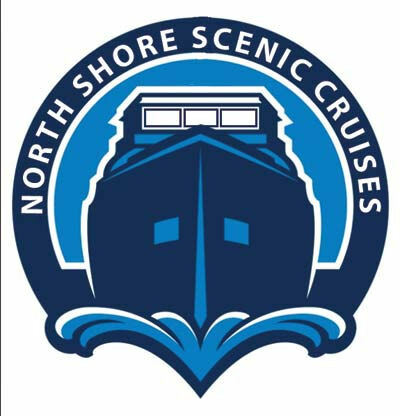 Please join the GLSPS Staff and others for a fun event after the Conference Aboard the M/V Wenonah. Please ask for details at the GLSPS booth. Theme this year - "The Life's Aquatic - "The Movie"
Drawing for the big winner is at the end of the Conference on Saturday!! The GLSPS will be Exhibiting at Event Again! You Can Also Stop By to Renew Your Memberships. Please Join us to see our own Ken Merryman Give a Great Presentation on the Newly Discovered Shipwrecks Him, and His Fellow Associate Shipwreck Hunters Discovered Just a few Months Ago! Please join the GLSPS LSMMA Speakers and Others After the Conference aboard the "Winona"
(Please let Jay Hanson Know if you are joining us). The 11th Annual Gales of November shipwreck and diving program will be held in Duluth, Minnesota, on Saturday, November 7th, at the Radisson Hotel. Programs run throughout the day from 10 a.m. to 5 p.m. with an evening dinner program planned for 6:30 p.m. Lunch will be on your own. 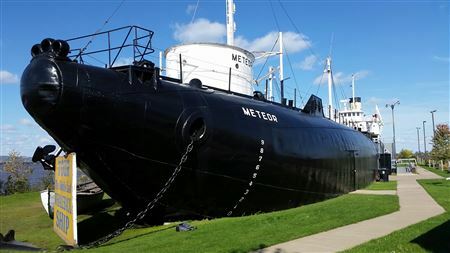 Proceeds from this year's event go to the Lake Superior Marine Museum Association, which assists the Corps of Engineers in programming and exhibits at the Lake Superior Maritime Visitor Center in Duluth, the most-visited marine museum on the Great Lakes. Program presenters will be coming from Minnesota, Wisconsin, and Michigan. And there will be displays on diving equipment, charter operations, publications and more, available throughout the day. 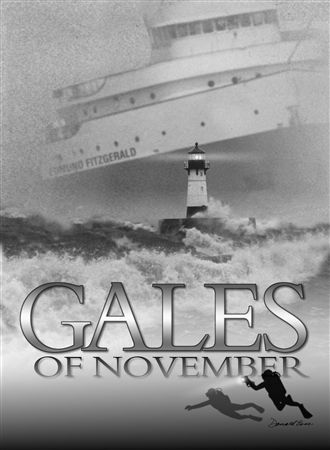 Tickets and more information for the 11th Annual Gales of November are available through this year's host: Lake Superior Marine Museum Association, P.O. Box 177, Duluth, MN 55801-0177, or by calling 218-727-2497. Tickets for the day of programming will be available by mail or at the door. However, dinner reservations must be paid for in advance and received by November 1. Day program is $15.00 and the dinner and evening program is $20.00. Payment can be in cash or check payable to Lake Superior Marine Museum Association. Sorry, credit cards cannot be accepted. A small block of special rate rooms ($59.00 + tax) has been set aside for the 6th and 7th at the Radisson Hotel for conference attendees. Register by calling 218-727-8981 and mention this conference. Great Lakes Underwater: A Diver's Updateby C. Patrick Labadie, Director, Corps of Engineers' Lake Superior Maritime Visitor Center, Duluth, Minnesota. A Celebration of Statehood: Wisconsin Sesquicentennial as seen Underwaterby Jeff Gray and John Jensen, Wisconsin State Underwater Archaeologists, Madison, Wisconsin. A Cold Dark Hart. The story of producing a video documentary on the wreck of the JUDGE HART in northern Lake Superior with dive partner and co-producer Darryl Ertel, presented by Matt Turchi, sport diver, videographer, and wreck researcher from Flint, Michigan. Steam Power: A Diver's Perspectiveby Ken Merryman, President, Great Lakes Shipwreck Preservation Society, Fridley, Minnesota. Isle Royale's General Management Plan: Impacts on Diving and SCUBA Managementby Liz Valencia, Branch Chief, Cultural Resources Management, Isle Royale National Park, Houghton, Michigan. Subduction: Ice Diving Beneath the Keweenaw Pressure Ridges, where ice can reach depths of 80 feet, by Bill Reynolds, sport diver from Hancock, Michigan. Matt Turchi will present the dinner program entitledThe GUNILDA Project. The story of researching, diving, logistics, filming, and producing a video documentary and research report on one of Ontario's most famous shipwrecks with co-producer and dive partner Darryl Ertel. Additional information is available by email, just note November Gales in subject area:Thomas.R.Holden@LRE01.usace.army.mil.